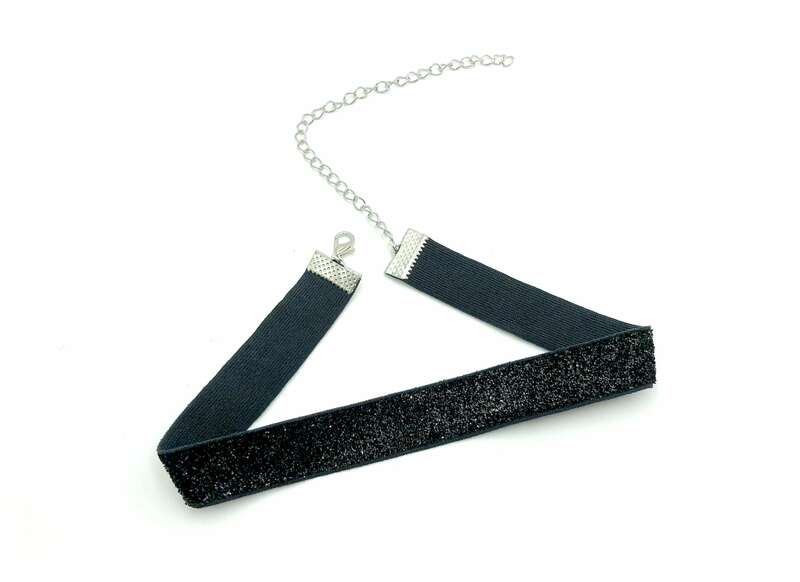 Sparkle in this gorgeous elastic choker necklace. Soft and comfortable with no glitter fallout, this piece will make you shine. Adjustable with 4 inch soldered extender chain.